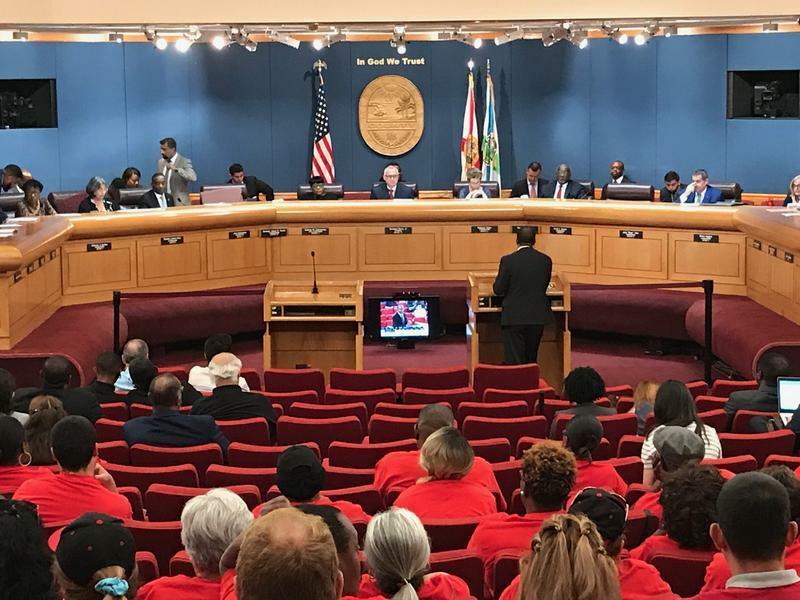 In a unanimous vote at the Miami-Dade County Commission meeting on Tuesday, concession workers at Miami International Airport were included in the county’s living wage ordinance. While $4.98 may not seem like a lot, it’s a chunk of change Miami International Airport concession workers have been fighting to earn for years. Wendi Walsh, the secretary and treasurer of Unite Here Local 355, is a member of the union that’s been leading the fight. “They’re not gonna get rich, but they’re gonna be able to put food on the table for their kids, so we’re thrilled,” says Walsh. Workers from Fort Lauderdale-Hollywood International Airport and Orlando International Airport met ahead of Monday night’s Democratic gubernatorial debate to share their struggles with low wages and talk about strategies to increase it. The groups held a private meeting before the debate, which was facilitated by the workers' union 32BJ SEIU, and then attended together the so-called Florida Freedom Forum with Democratic candidates to push for a living wage increase. 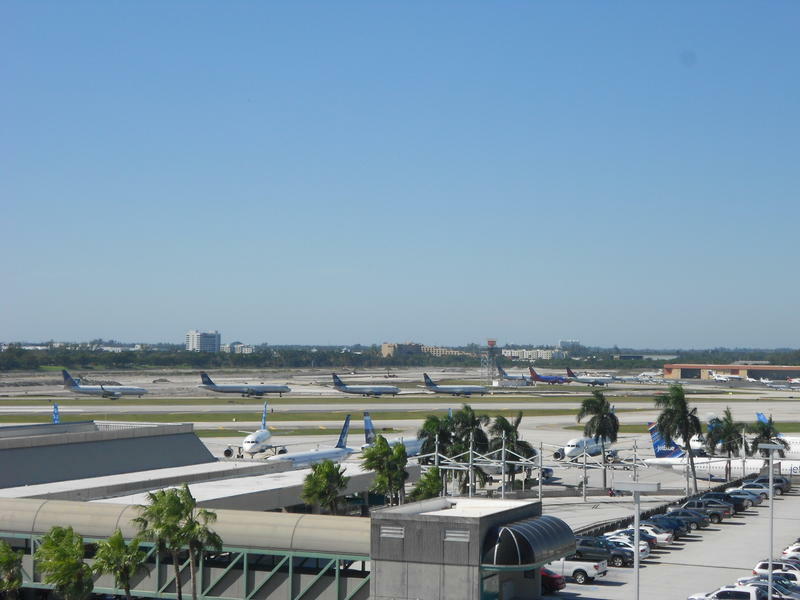 There’s more unrest at Miami International Airport. More than 300 food workers have filed complaints alleging their employers have been underpaying them. Workers with LSG Sky Chefs and Gate Gourmet said the underpayments date back to 2006. The employees of these companies, contractors of major airlines - Sky Chef's main client is American Airlines - say their employers are violating the Living Wage Ordinance. Click here to listen to the audio version of this story. In 10 U.S. cities, airport workers spent MLK Day on Monday protesting for higher wages and collective organizing rights. One of those protests was in Miami. The protest took place in front of the Eulen America building near Miami International Airport. Eulen subcontracts airplane cleaners and other workers for several major airlines. Workers say the company has threatened or fired employees who attempt to unionize. Eulen did not respond to WLRN’s request for comment. But the protest wasn’t targeting just one company. "Poverty wages don't fly," read the signs hoisted by protesters. 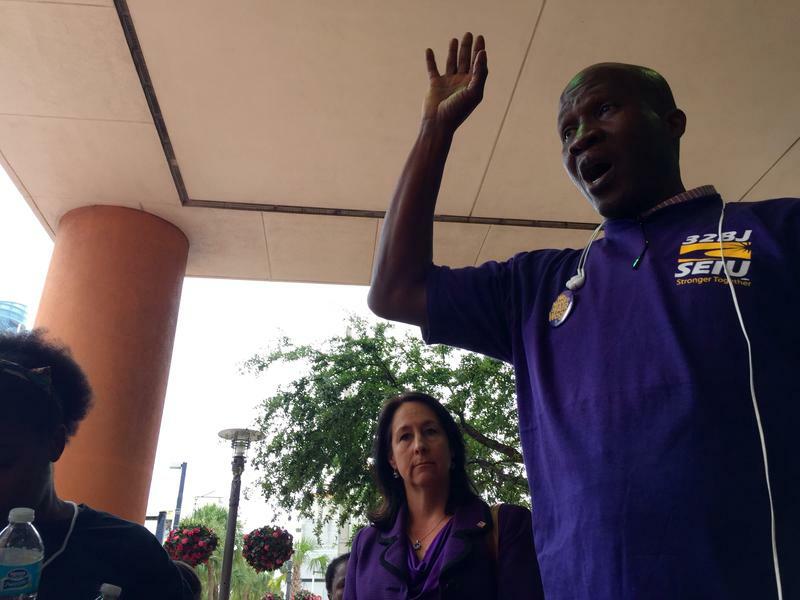 On Wednesday, airport workers gathered at Fort Lauderdale-Hollywood International Airport to demand a living wage. A local service employees union, 32BJ SEIU, organized the event. 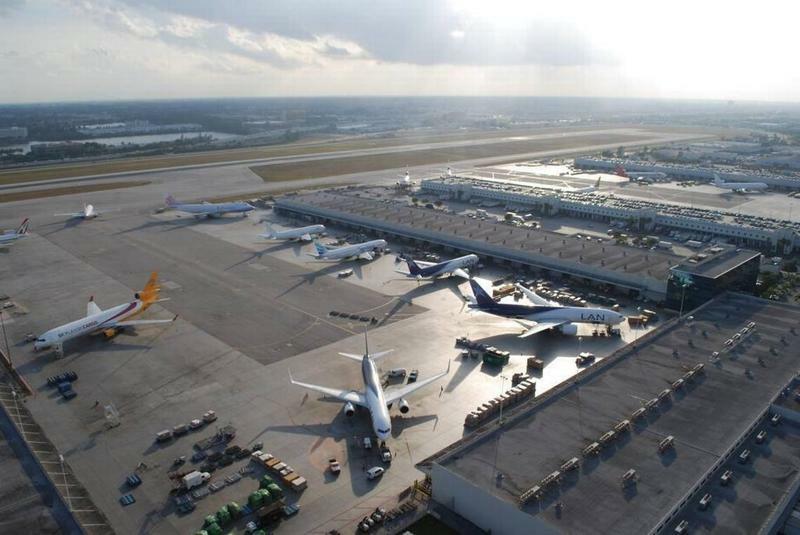 Broward County commissioners are considering a proposal that would extend the county’s living-wage ordinance to airport contract workers at Fort Lauderdale-Hollywood International Airport. Workers such as baggage handlers, skycaps and wheelchair assistants earn an average of $7.46 per hour, according to a union report. Gueldere Guerillis has worked at FLL for eight years and currently works two jobs, as a skycap and wheelchair attendant.